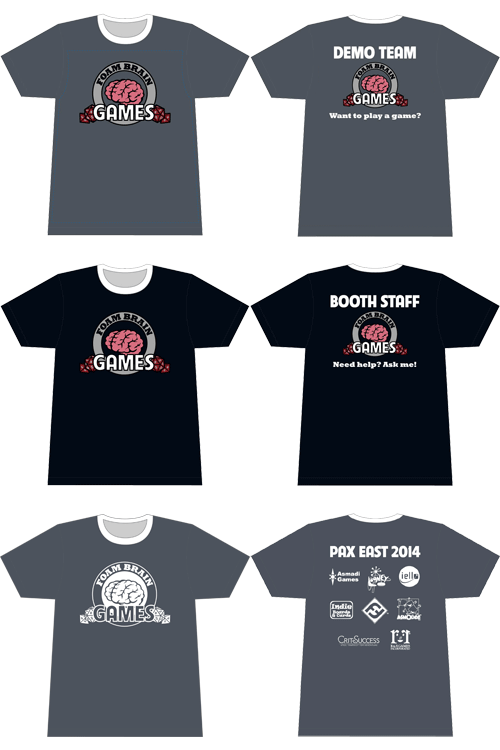 These are three shirts, front and back, that I designed for Foam Brain Games’ use at conventions. The third was a giveaway shirt featuring logos of game companies affiliated with Foam Brain. Published November 13, 2014 at 500 × 750 in Foam Brain Games Staff TShirts.